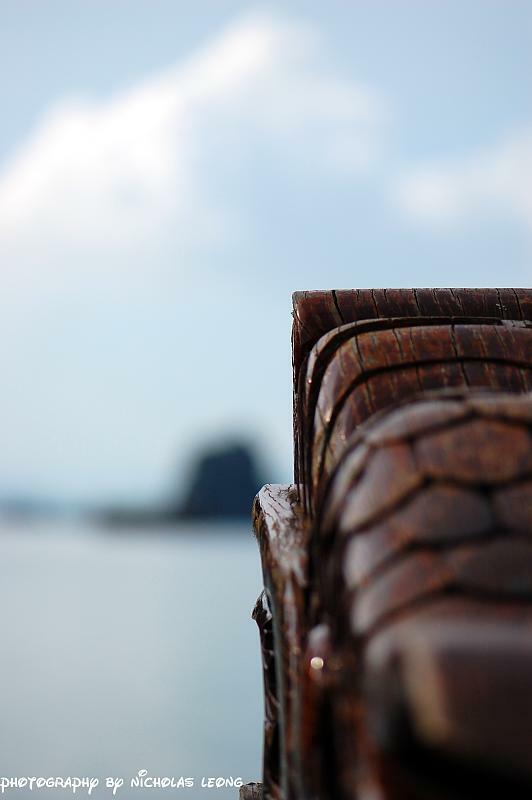 One thing about travelling with a prime lens is that you lose the flexibility but it also makes you explore new angles. 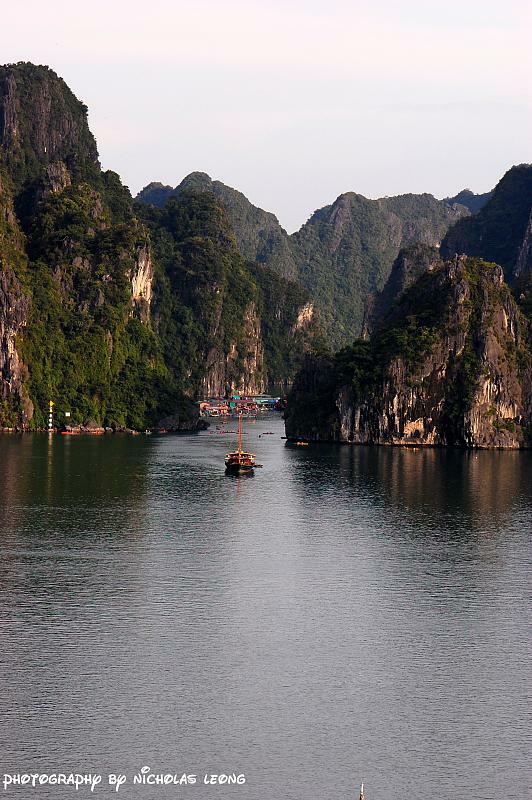 I went to Hanoi recently and of course, Halong Bay as well. It is really a beautiful place and here are my attempts at capturing the essence of my trip using the Nikon D40 and 105mm. 1. 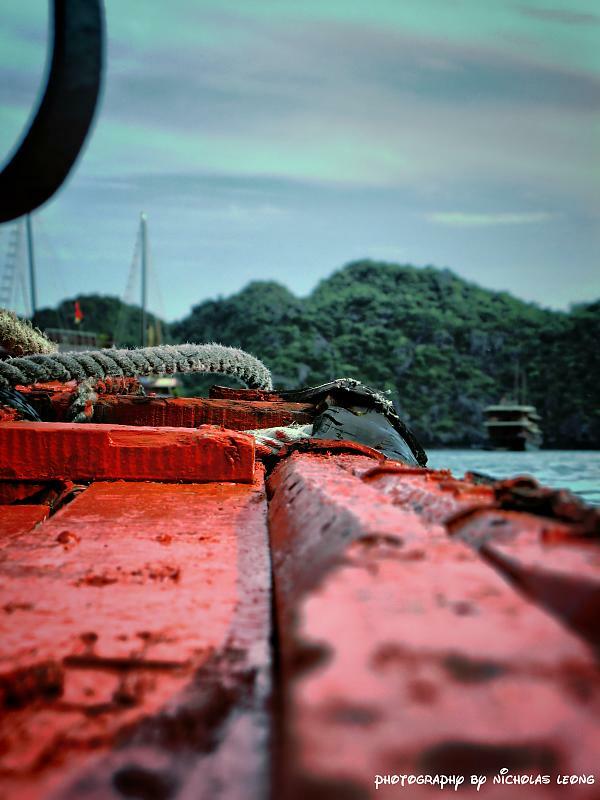 The best way to move around Halong Bay is using one of these junks. 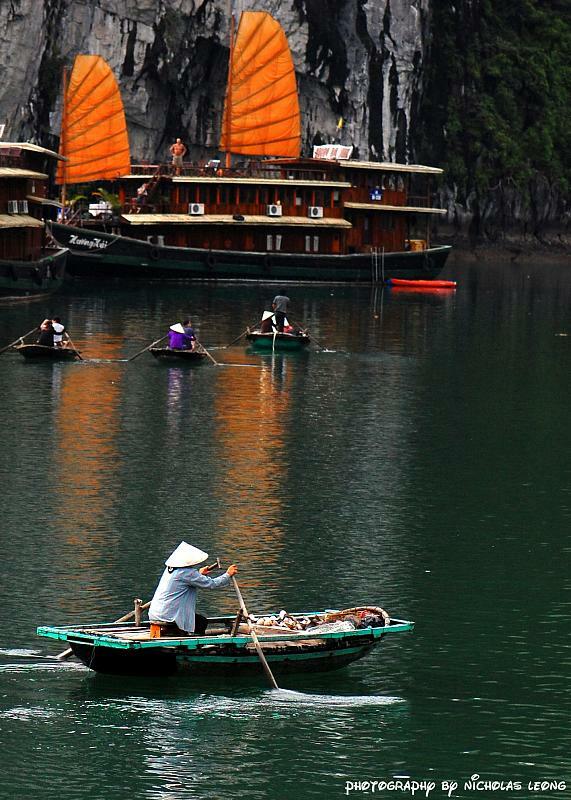 You can stay overnight on these boats and I suggest you do so. 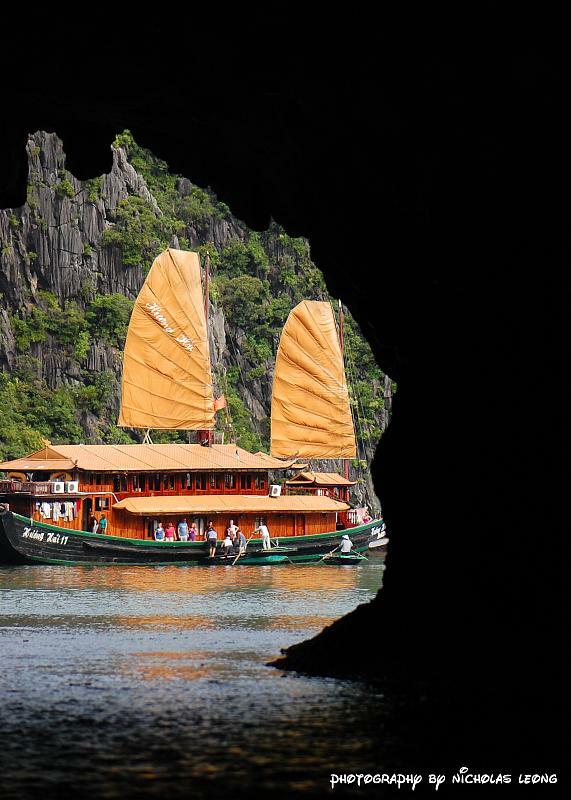 A day trip to Halong Bay is not fun enough. 2. I got onto my junk and onwards we go! 3. 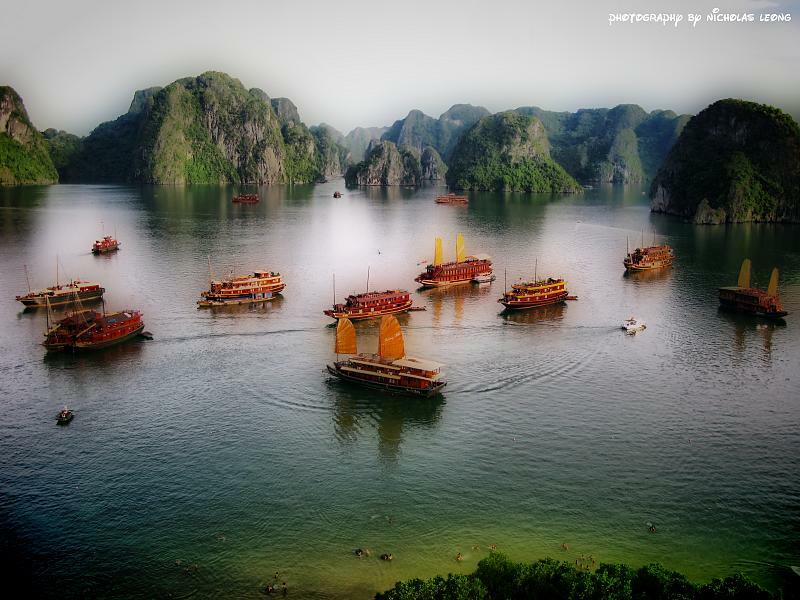 Halong Bay is a UNESCO heritage site which contains about 3000+ islands. The UNESCO site contains about 300 over of those islands. They are really rocky islands and not the sandy ones that you get everywhere else. 4. 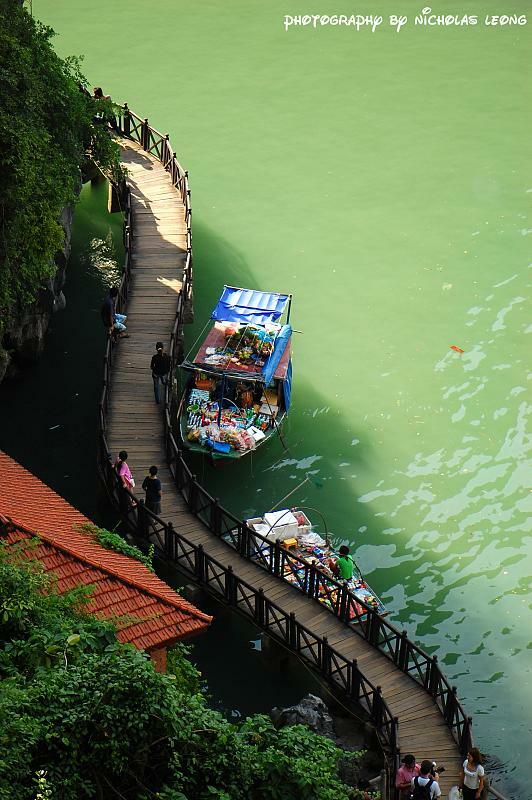 Of course, it is not just any tourist spot as there are people who make a livelihood in Halong Bay. 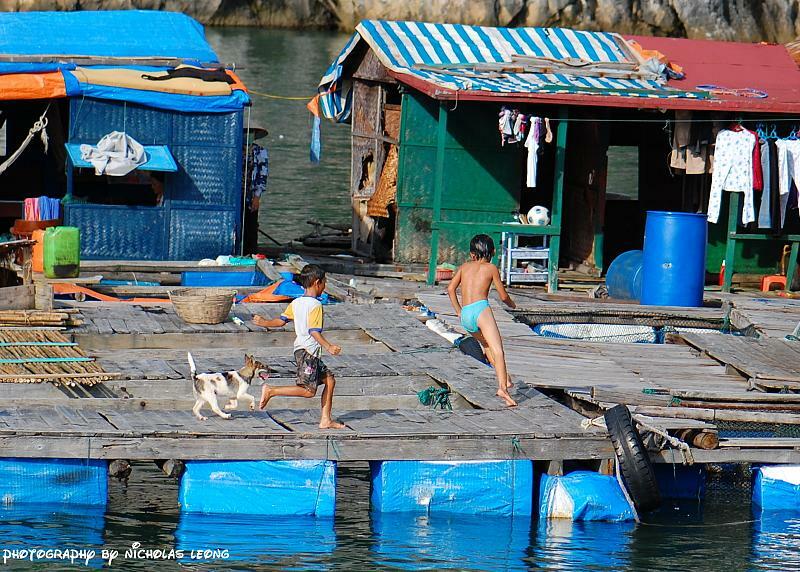 We passed by fishing villages on water. 5. 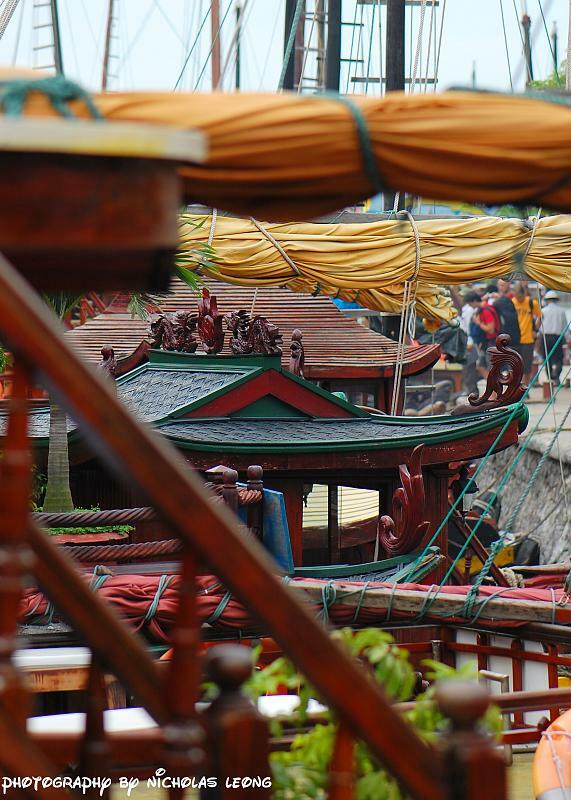 Other than fishing and cultured pearls, they also sell daily essential items to the many junks in the area. 7. 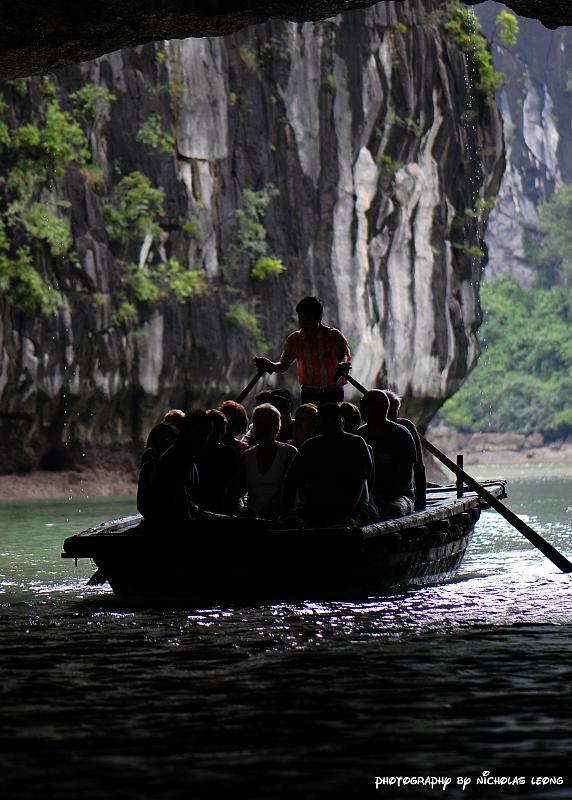 Caves and grottos are the main reasons you visit Halong Bay. 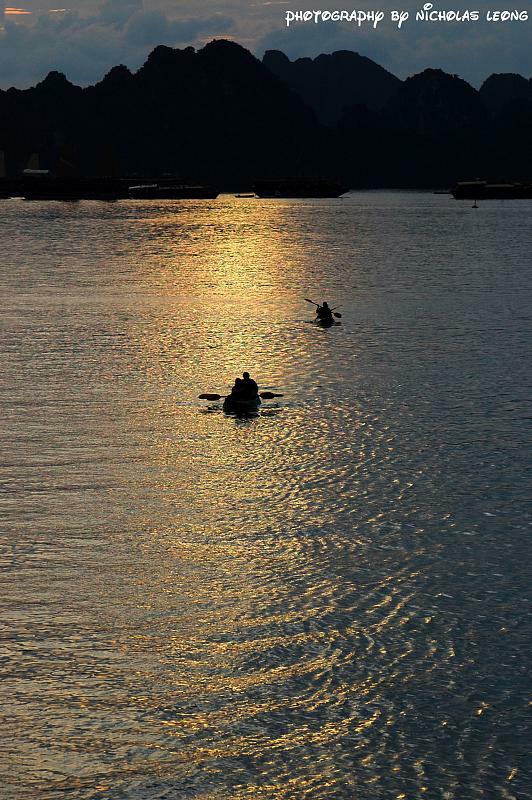 You can choose to either kayak yourself or sit in a boat while someone brings you around. So while I was going into one of these grottos, someone else was coming out. 8. The trip doesn't take long usually as it will probably take 2-5mins of your time to see these "internal" lakes. Soon, it was time to head back to the junk. 9. 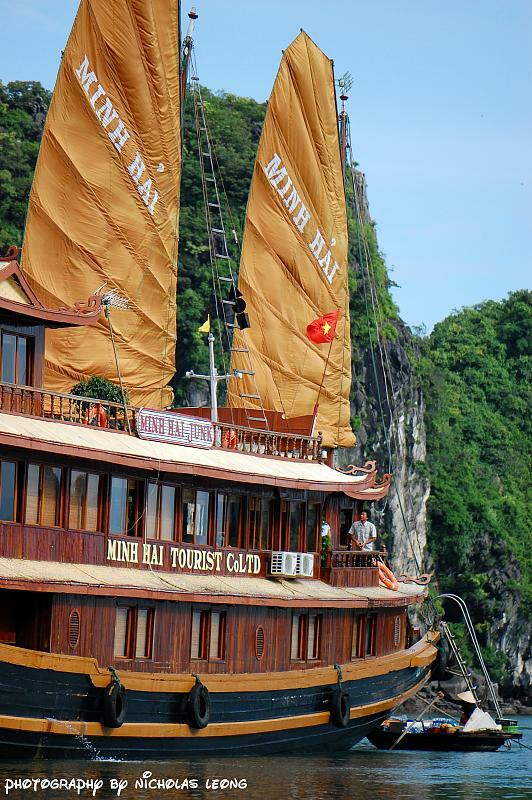 This was the junk I stayed on, and it was really clean, the staff was pleasant and overall, one that I can recommend to anyone looking to go to Halong Bay. Going with a group of 12 will probably ensure the whole junk to yourself. 10. 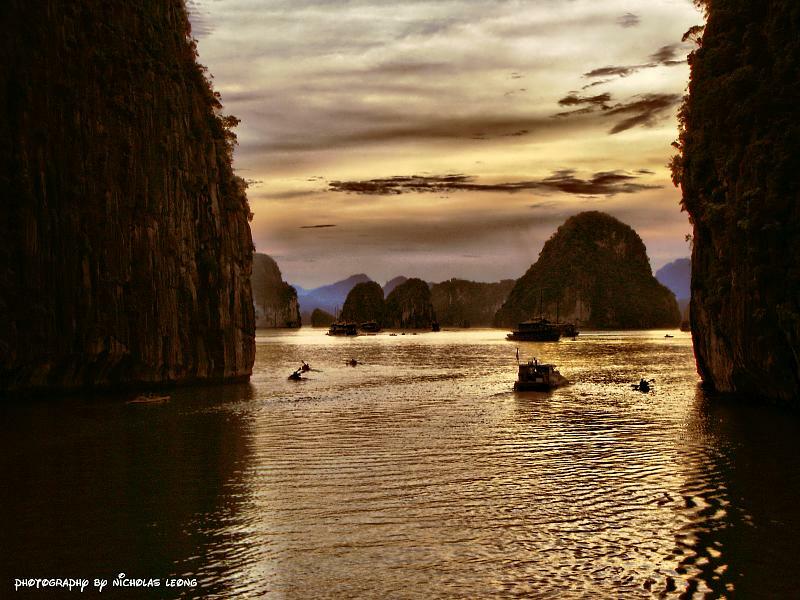 Now, if I didn't stay for the night, I would have missed the sunset and also the serenity of staying in Halong Bay for the night. It is really quite the experience. 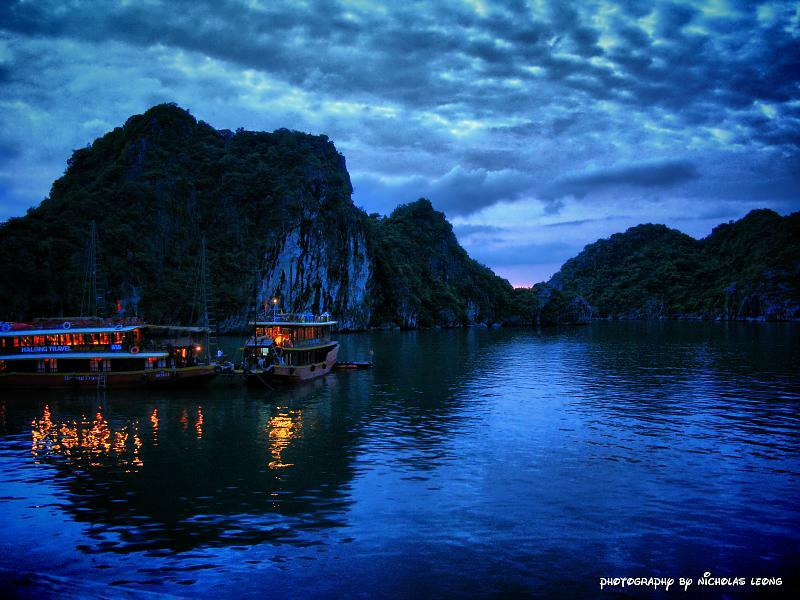 So, if you ever go to Hanoi, make sure you head to Halong Bay. And stay the night. Very nice compositions!! Nice works!! So u used 105mm throughout ur trip? Nice set you have here. Wait a second... those pics u posted recently are taken by G9? As in the four latest shots? Yep, those were taken with the Canon Powershot G9 and HDR with Dynamic Photo HDR. WHAT!!! wa liew!!! Thats a very camera lo!! Nice shots u have there!! Totally adores #2 and #3!!! WOW , solid! I like your last 3 pics! WOW! wats the reason that u sold off ur G9?